Like most short-story writers, I don't hit a home run every time I go to bat. Some of my stories sell to good markets and some don't, and even though I try hard to make every story as perfect as I can make it before typing THE END and sending it out into the world, it's difficult to predict which ones will be successful and which ones won't. Most of them eventually pay their way, but sometimes they have to be revised a bit before they do. Occasionally, though, you do know--or at least have a feeling--that what you've created might be on target. I remember feeling that way while writing a story called "Molly's Plan," in early 2014. It was a 5000-word story about the robbery of a supposedly theft-proof bank, and was unusual in several ways: the bad guys were the protagonists, it had very little dialogue, everything happened inside an hour or so, and the POV changed at least four times. But I liked all that, and I liked the suspense and the surprises in the story. When I finished it I mumbled a prayer to the submission gods and sent it to editor Andrew Gulli at Strand Magazine. 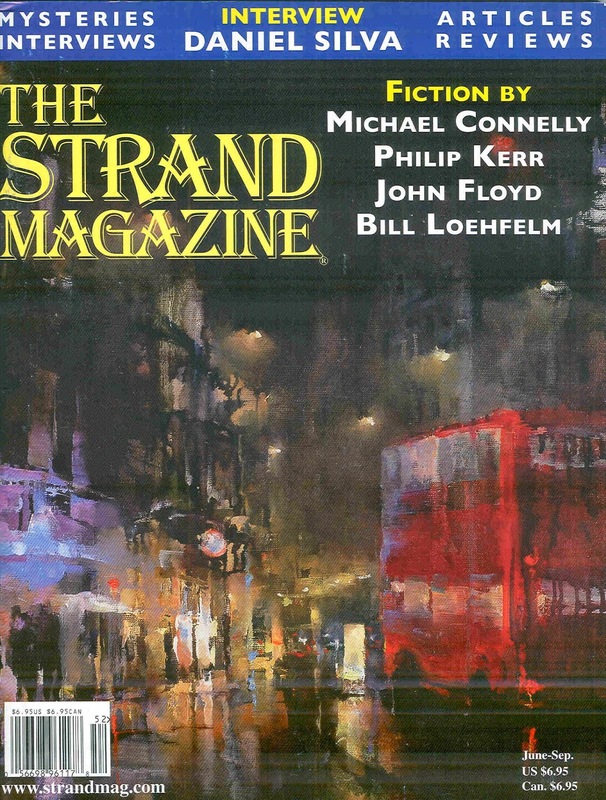 Andrew bought it, and it appeared in the June-September 2014 issue of The Strand--the 10th of the 16 stories I've published there. I was pleased by the sale and by the positive feedback I received from readers over the next few weeks, but what I didn't know was that even better times were ahead, for this story. 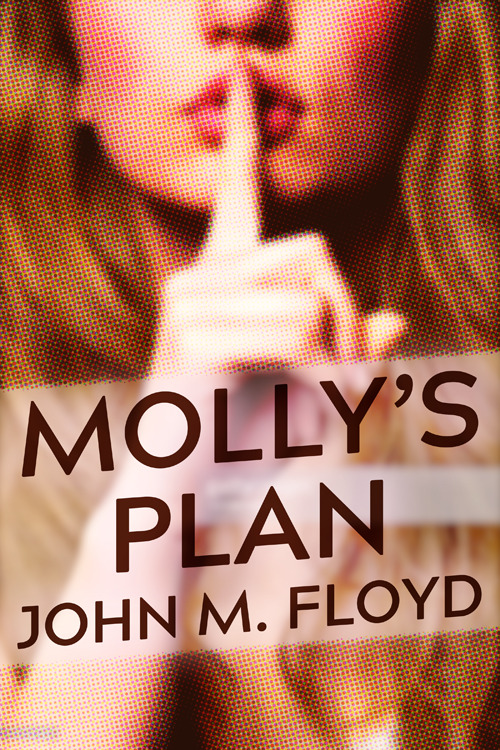 In the months that followed, Otto Penzler notified me that "Molly's Plan" had been selected to appear in the 2015 edition of The Best American Mystery Stories; Kirkus Reviews had glowing things to say about my story; a Hollywood agency inquired about film rights; several college teachers requested permission to use it in their fiction-writing classes; and my publisher included it in a sixth collection of my short mystery fiction. A Russian literary magazine even contacted me recently with an offer to translate and reprint it in an upcoming (2018) issue of Inostrannaya Literatura. I suppose my little bank-heist tale has done well for itself. NOTE: Before you get the impression that I think I'm the fattest goose in the gaggle, I should point out what one magazine editor told me years ago, in his rejection of what I thought was an outstanding science-fiction submission. He said, of my ten-page story, "You should've stopped on page 5." That'll bring you back down to earth pretty fast. One of my old schoolteachers told me there's a lesson to be found in every experience you have, and one thing I've learned as a writer is that--with a little luck--short stories can take on a whole new life after publication. (I'm reminded of a column here at SleuthSayers the other day by my friend R.T. Lawton, whose AHMM story "Boudin Noir" was recently resurrected in Otto Penzler's The Big Book of Rogues and Villains.) Published stories can be selected for "best-of" anthologies, reprinted in collections, nominated for awards, translated into other languages, produced as plays, made into movies, etc., etc. They might even be read by passengers on the subway. What's been your experience with previously-published stories? Have some of yours been recognized with nominations or awards, or reborn in collections or anthos? If so, were they always stories that first appeared in the bigger publications, or were some discovered in lesser-known markets? Do you actively submit your previously-pubbed stories to reprint venues, or have those opportunities appeared out of the blue, via invitations or selections? I'll close by saying that this to-infinity-and-beyond kind of thing doesn't happen all the time, but it does seem to pop up more often than you might think. There are no guarantees: I believe all of us realize that we might strike out the very next time we step up to the plate. Your newly-written story might not get published at all, and if it does it might appear someplace once and that's it. But you also might get a hit that clears all the bases. You might put together a story that delivers over and over, and makes you proud for years to come. And that's a good reason to keep trying. Those are indeed lovely developments! Though I've yet to have a story take on a post-first-publication life as extensive as "Molly's Game," several of my stories have led lives beyond first publication. I've picked up two Derringers, was short-listed for a third, had one story make the long list for a Nebula, had another (co-authored with Tom Sweeney) place 4th in the EQMM Reader's Poll, had two stories in Lambda Literary Award-nomiated anthologies, had one picked up for a best-of-year anthology, and another made the other distinguished mystery stories list in a best-of-year anthology. Several have been included in collections of my short stories, some have been reprinted in other publications, and I've even had stories translated into German and Italian (both of which I've seen) and Chinese (which I contracted for but have never seen and probably wouldn't recognize if I did!). 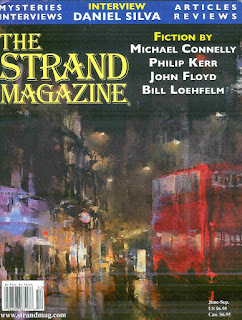 The stories that have gained second lives through reprints and recognition were first published in all manner of ways--in anthologies and periodicals; slick magazines, digests, and electronic publications; top paying and not top paying; and so on. Some of these opportunities I actively pursued, some not. For example, the Italian translation was for a reprint I submitted, but the German and Chinese translations came out of the blue. The thing that gets to me in all of this is that I never know which stories will be the ones that live second lives. Stories I think are among my best have lives that are one-and-done, while other stories keep popping up because they resonate in some way with editors/readers. Try as I might, I can't predict any of this stuff, so I just roll with it. John, I like it, I like it. Who'd a thought of their stories appearing in a subway project? That's a classic one-up that few authors can match. I agree on the not being able to have a good prediction rate on which of my submitted stories will be successful at first submission and which will gather dust for a while. I have my opinions, but the buyers have their own thoughts. The project to get people to read short stories on the subway reminds me that when I lived in D.C. & commuted to work on the subway, they would sometimes post short poems instead of the advertisements that usually went into the supposedly valuable real estate in the subway cars. That lasted a year or two & was interesting while it did. Wow! What a great story line for your story! Thanks, Janice! That's kind of you. Michael and RT, sounds like none of the three of us are able to predict how successful these stories are going to be, early on. All we can do is try our best and hope, right? And thank goodness lightning strikes now and then, and allows some of them to show up again afterward, in anthologies, award nominations, etc. Liz, I suspect there'll probably be some poetry available in this initiative, too. I don't know a lot about it yet. Sorry to be so late to the party. Every Saturday between now and Christmas I'm signing at nearby Books-A-Million stores. (And the one I visited today, just south of Memphis, ain't nearby. Long drive.) Thanks, all, for the comments.